TRAPA can make a wide variety of grades and sizes of timbers for marine projects and timbers for bridge and infrastructure construction. We can provide timbers specifically graded to be beams, stringers, guardrails, bridge decks, or cribbing. 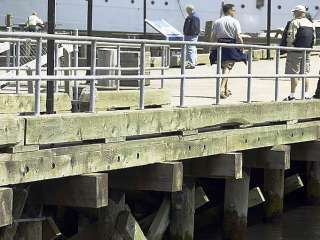 Most of our marine and bridge timbers are made from hem-fir or douglas fir because of their availability in larger sizes and longer lengths. We are able to offer creosote, CCA, ACQ or wolmanized treated products. 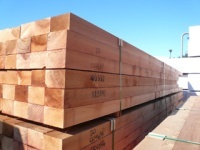 We also supply naturally durable wood such as cedar, cypress and larch.